This article is a short summary of Pokémon Mystery Dungeon: Red Rescue Team and Blue Rescue Team. 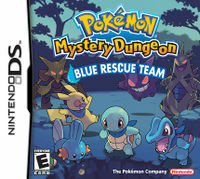 Pokémon Mystery Dungeon: Red Rescue Team and Pokémon Mystery Dungeon: Blue Rescue Team are a pair of spin-off games in the Pokémon series, released in 2005 in Japan. The two games make up the first installment in the Pokémon Mystery Dungeon series, a crossover between the Pokémon series and Chunsoft's Mystery Dungeon series. 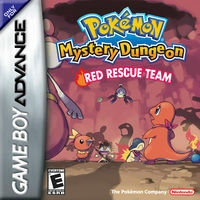 Red Rescue Team was released for Game Boy Advance, while Blue Rescue Team was released for Nintendo DS. Introducing the newest Pokémon. You! This page was last edited on 26 October 2016, at 18:03.